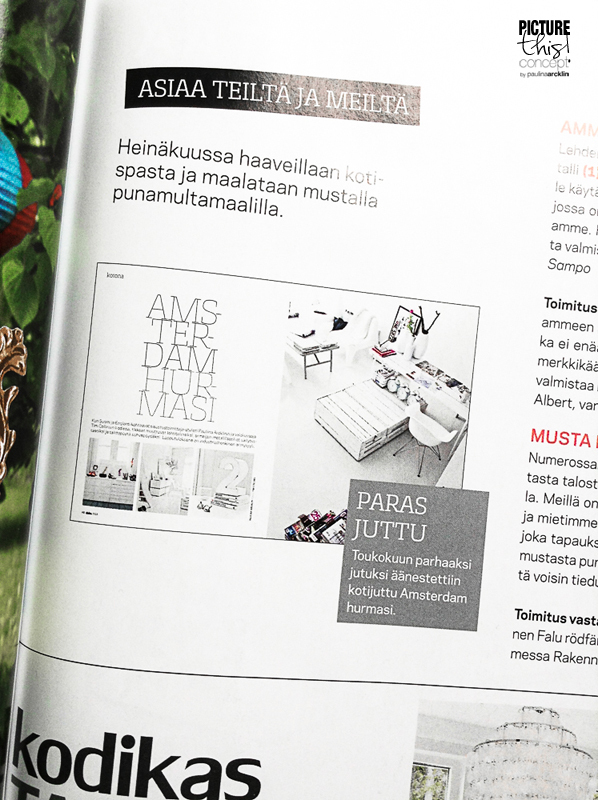 My first Amsterdam home with the story was chosen as the winner story in Deko magazine May issue. Thank you everyone! Here you find it from my blog.